Children have little fear of fire. After all how hot can birthday candles or matches get? But, it can get so hot in a house fire that the heat will melt wiring, plastics and glass. It is so intense that nothing living can survive. If your home caught on fire, would you know what to do immediately? The most important thing in escaping a fire is to have a plan, to know what to do immediately and not waste time in getting out. Expand your fire safety knowledge by watching the Fire Is… video series! Fire prevention is no accident. Fire Prevention is a family affair and a lifetime commitment. 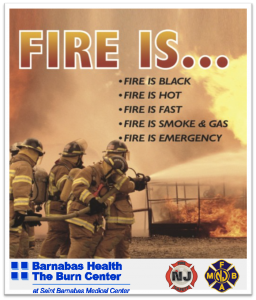 This web-site will assist your efforts to keep your family informed of the dangers of a fire.